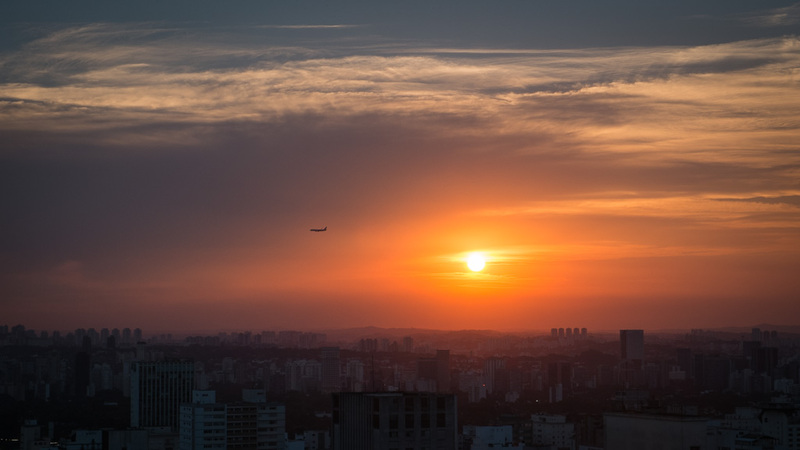 While there is no walking at the moment until my knee repairs itself with the help of physio and glucosamine, I just wanted to post this photograph I took on Friday night from my balcony in Sao Paulo; it was such an amazing sunset. And if it looks like the city is boiling, it is! Unrelenting high temperatures have been the feature for the last two weeks and no afternoon rainstorm to provide relief. Rain is predicted for Tuesday and every person living in this city is looking forward to that.